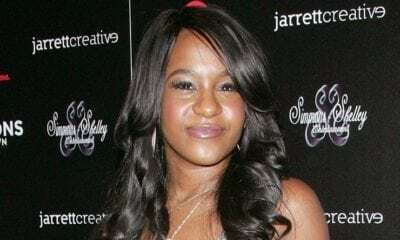 Bobbi Kristina Brown died on July 26 – six months after she was found face down in a bathtub and three years after her mother was found dead in a bathtub. In both cases, the true cause of death remains unexplained, a hallmark of a elite-sponsored murder. On January 31st, Bobbi Kristina Brown, the daughter of the legendary singer Whitney Houston, was found unresponsive, face down, in her bathtub. She never fully regained consciousness as she was kept on life support for month while contradicting information circulated about her health. As I stated in the article I’ve written right after Bobbi Kristina was found unconscious, the similarities between the “crime scenes” where Whitney Houston and Bobbi Kristina were found are simply too strong to overlook. Simply put, placing Whitney and her daughter in a bathtub is a sick way of confirming that the same authors are behind both murders … and these authors are the occult elite of the entertainment industry, who turned against Whitney Houston at a crucial point of her career. 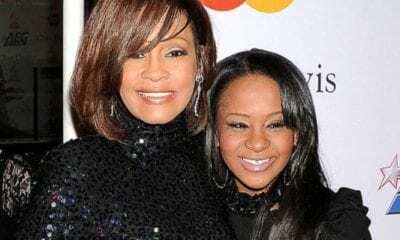 Three years ago, Bobby Brown’s sister Leolah Brown stated that Whitney’s death was “not accidental” and that Bobbi Kristina was “not safe”. Unfortunately, she was right. Bobby Brown’s sister, Leolah Brown, is speaking out for the first time since Whitney Houston’s death, defending her brother and sending a warning to Bobby & Whitney’s daughter — Bobbi Kristina. “I am concerned about my niece Bobbi Kristina, yes,” Leolah told Access Hollywood of her 18-year-old niece, who she refers to as “Krissy.” “Krissy is not safe right now. I want to say to Krissy that it’s very, very, very important that she does not trust anybody at this time. Anybody except her father, her grandmother Cissy and myself. And I mean that. “Right now is the time to just really shut the door,” she continued. Leolah and her attorney, Reginald Mason, remained unspecific about who may try to harm Krissy. “There are persons that possibly would want to take advantage of Bobbi Kristina’s fragile state of mind,” Mason claimed. Leolah claims her brother Bobby is not doing well, but says he is not to blame for Whitney’s demise. 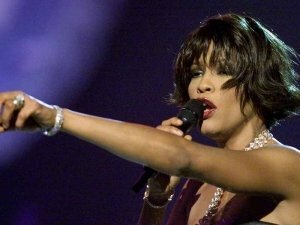 “Bobby has nothing, nothing at all to do with Whitney’s death,” she told Access. While awaiting toxicology results to determine what killed the singer, Leolah told Access that she has reached out to the Beverly Hills Police Department to make sure they do a thorough investigation. “I believe Whitney’s death was not accidental. No,” she claimed. According to Leolah, what then killed the singer? As it is always the case with celebrity ritual killings, the true circumstances around Bobbi Kristina’s death will forever remain a mystery. News sources are reporting that the long period of time that spanned between when she was found and the time her death will make finding answers extremely difficult. This is a rather convenient for those who do not want the truth to come out. We should however expect vague explanations relating to “drugs” or “alcohol”, as it is the case for all bizarre celebrity deaths. Only two weeks before her death, another piece of news made things even more suspicious : Steve Stepho, a drug dealer who admitted selling heroin to Bobbi Kristina and Nick Gordon was found dead in what is said to be an “overdose”. Steve Stepho was found dead on July 2nd, two weeks before the death of Bobbi Kristina. While his death might appear somewhat irrelevant, Stepho had been confiding to media sources and opnely discussing about Bobbi Kristina and her family. This article on radaronline even contains a video of him talking about the Brown family. Did he know a too much about Bobbi Kristina? Was he deemed a threat because he was going on record and speaking about his relationship with Bobbi Kristina? Whatever the case may be, the death of Bobbi Kristina Brown is yet another example of how the occult elite is sick, twisted, sadistic, vengeful and bent on ritualistic and symbolic murders. While most people will accept the official story of her death, all of the signs point towards another hit from the dark side of the entertainment industry. What i wonder is how do people really buy these drug overdose/suicide excuses? Trust me, in many showbiz industries around the world where rottenchild slaves are not found, drugs are common and most celebrities do lead a wild lifestyle. But they don't die like this. Amen, you said it. These people are okay with this insanity. No moral, no love, perfectly fine with the genocide going on around them, shoving food in their mouths while selling baby parts. oh god no one is selling baby parts. sale of medical waste for research has been part of the medical culture for … always. The problem with alarmists is that anything can be construed as evil because it's easier to cry "evil" than use critical analysis. That, friend, is how the demon wins. By getting you to fear the world around you. Erm, selling parts of babies who have been killed for convenience is selling baby parts. This has nothing at all to do with medical research. Perhaps it's time for VC to do an article on the use of human tissue from dead babies killed through abortion in the cosmetic industry. It is on record here in the UK, Hansard, the written account of our parliamentary discussions, that a member of the House of Lords spoke of making babies into face cream for the rich. I kid you not, it is happening. I knew I would find this article on Whitney's daughter, it may looked as if she also knew too much about "the illuminati" apart from being a ritual sacrifice like that drug dealer friend of hers. "They" sure know how to be cruel and tyrannical without ever showing remorse for "their" killings as with other celebrities like Anna Nicole Smith and others. Reminds me about the obvious circumstances on Paul Walker's unfortunate demise. Omg ive been Anna Nicole obsessed for the past month and still. But i saw an E special possibly in fall 2007 and it was like i knew her, i freaking cried. Ive been watching videos of her and its as if she never ever died. Yet i still want to be a star. It was last sunday i was on my way out of Barnes & Noble when for some reason a book with Whitney & her daughter on the cover caught my eye. Then the next day i find out shes passed away. Yet i stil want fame & fortune more than anything in the world. I wanna be able to become the greatest me and TURN ON for the cameras. I am i forever lost? Well I want to be a famous, wealthy actress and writer. I never give up working on my dreams no matter what is going on. My ten year old also wants to become a famous star. I've been sharing VC's site with her for years now. This girl can see symbols in all media now. Before I even notice. She knows one has to give up themselves to be the star 'they' want. She even knows what hhappens to them if the rules aren't followed. But, she still wants that fame and fortune. I've done a few days as an extra on a tvsshow they're filming by me. I'm sitting there starring at these stars trying to Decipher in my mind how much torture they really endured to become who they are . That life is not for me. I guess if my daughter wants to take that path to stardom… The vigilance in me will be shining bright thanks to this website! Forgive me if someone has already mentioned this but is it just a coincidence that after she publicly announced that Angela Bassett a man (more than once) she "died"? We could ask Joan Rivers who publicly announced the same thing about our current first lady but……. well, you know what happened. My thoughts on this? you may not like them. I think BKB was not as marketable as Whitney. She was not as….traditionally "pretty" as Whitney, she could not sing like Whitney, so was not as marketable and could not make as much money for the industry. The result? Her death. on another topic – Paris Jackson is being kept alive because she has something they want. I feel for the boys. I fear they are going to go down this same path of destruction, either by their own or someone else's hands. Bobbi Kristina nearly drowned 24 hours before Whitney Houston was found dead. Bobbi K was supposed to die before Whitney because she was set to inherit all her mom's money……& then she was found face down in a bathtub 6 months earlier, which is exactly how Whitney was found. Another blood sacrifice. R.I.P BK and WH. I've heard that Angelina Jolie is supposed to be next, but god knows. When you think about Randy Quaid's self-imposed exile to Canada…and voicing what I think we all can agree are legitimate concerns about "Star Whackers"…it makes sense that Bobbi Kristina Brown would either die or be killed. See, I think there's good reason to question whether her suspicious brush with death prior to her mother's death (in much the same manner) was an accident. I don't mean that it was unintentional, but rather that it was intended for her mother and not her. Of course, upon realizing this, she posed a significant threat if she were to ever evade the grasp of those that could kill her and went public with these revelations. I have little doubt she was killed…but perhaps it had less to do with her, per se…and more to do with controlling information about the true circumstances surrounding Whitney Houston's death. Obviously, none of us know for sure, and much of this will be speculative…but if I had to hazard a guess, that would be at the top of my "likely scenario/major factors" lists. This is all too weird. Bobbi kristina's death will be ruled as a drug overdose. How can a drug overdose cause lacerations on your body and brain damage that's irreversible? Could she have been injected with something to have caused the brain damage? These people are demonic and only care about there own pockets getting fatter. If she was in so much danger why wasn't she convinced to go live with a family member that truly loved her. Nick Gordon was the last one to see her alive and they may have hired him to be a hit man. He will definitely not be charged with anything but might get a year or two in prison like conrad Murray. This young lady was probably on drugs but I don't think it killed her. Of course this was not an accident. Krissi being found in a bathtub unresponsive and then in a coma and then finally her death. If the drug dealer was shot, probably no one would've even questioned, it but the fact he 'overdosed' was a huge red flag. Who benefits from these deaths? The Grammys took on a gospel spiritual theme this year. Mimicking Whitney's funeral. BK was expected to die in February like her mom. And that award show this year was in anticipation of her death & making fun of it. Her boyfriend wouldn't kill her..she was his meal ticket. Although the media is making it seem like the bf did it. I still can't believe they had that Grammy party on the ground floor while Whitney Houston's body was freshly dead, growing cold on a hotel floor right above them. Now THAT was satanic. The people who did this will never be caught. They are walking around as if nothing happened. And even if their names were announced, nobody would believe it and they wouldn't be arrested anyway. I don't know how these people sleep at night telling lies and committing and plotting rapeand murder of good ppeople on a daily basis. RIP Krissy. You were brave and you stood strong against your oppressors. I pray that Jesus hastens his coming so you can see your mom soon. Thank you VC, by the way. How was BK brave? How did she stand strong against her oppressors? Critics are one thing. Almost everyone famous has them. But oppressors? Did she even know she had oppressors? I saw her give an interview once. She reminded me of Lindsay Lohan with her general demeanor and baby voice. She knew she was surrounded by evil people. She alluded to it in some of her tweets. It ties to Elisa Lam's death. She disappeared on January 31, 2013 and resurfaced in the Cecil Hotel (meaning blind) water tank on February 19, 2013 (which links to Witney Houston's death of Kabal #45). The plug finally pulled on Bobby Christina Brown on July 26, 2015 (Kabal #14). Our next water event will be part of the #14. All of it is ritual and very predictable. Illuminati use Egyptian mythos in their rituals . Osiris cut into 14 pieces by his brother Seth. When add the date 7+26+2015 it results in 68. Further reduced to 14 and then to 5. Same can be said of 9.11.2001 as a 41 further reduced to 5 for manifestation (as a pentagram). The key numbers should add to 42 for the matching event to 911 (without the year) now 14 years later. So 42-11-9=22 on a day of 14. Either 9.22.2015 or 11.9.2015 or 11.22.2015 are candidates, but only 11.22.2015 adds to 68 or 14. Would like to know what you are referring to as well. Can you please explain more… Kabal? #14? Cabal 14=7+26+2015 or 68 or 6+8=14 because Seth cut Osiris into 14 pieces. Okay so the event may be a 68 even. What is if 923 is really a calendar day? 326 upside down for 11/22/2015 and a cabal 14 or 68. Isn't Kali celebrated in the month of November? What is the water death? Does it tie into all of the hanging deaths too? Simone Battle, Robbin Williams, L' Wren Scott and Sandra Bland? Hang man also meaning knowledge. What is the tie? The publicity stunt on Hoover Dam occurred the day day that Simone battle committed suicide for a cabal 45. Obama turned 54 on August 4. Does that mean the event is this year? Synchronicity is full of kinds of twists. The Truth is Already Out!! !… y'all just don't want to BELIEVE IT!…THE ELITE ARE REAL… and if you still waiting on the Truth to "Come Out" your A-s is SLEEP…WAKE UP PPL! What did she actually do that they had to eliminate her ? I agree that it was no accident, but COME ON, not EVERY mysterious death or homicide is a ritual sacrifice. Actual plain murder happens, even in the entertainment world. I believe that's the case with both Whitney and her daughter. Whitney was naive enough to take in a kid she didn't know, her daughter coupled up and stayed with him for years despite domestic violence. Believe the theory in the article all you want, but are you going to say that domestic violence doesn't kill? Do you believe that psychopaths don't exist outside the industry? If an everyday "normal" person would take in a stranger and get abused would you tie it to the illuminati? I commend the education to the public on symbolism and evils of the industry here, but not everything involving someone famous is tied in to these rituals and no one is immune to non-ritualistic deaths. I forgot to mention drugs, too. Point is: "everything = illuminati" is a dangerous assumption! Think of other possibilities. After reading this article I went into my room and the radio was playing Whitney's song I wanna dance with somebody, what a coincidence and wow, what a voice she had. There are so many holes and eerie similarities to Whitney and Bobbi's deaths that I don't see how more people aren't questioning the story. RIP to both of them. Anybody seen the latest news about Leolah's outburst at Bobbi's funeral? She said "'It's not over. We've got evidence of who Pat really is, this is going to be a long drawn out process," as well as speaking about 'the truth' about Pat Houston and clearly states Whitney and Bobbi were murdered, so maybe there is hope in the situation? I'm interested to know if VC knows anything about the Marion P. Foundation (run by Pat) which supposedly helps troubled teens, Leolah says it's an evil and dirty foundation. Shady indeed! I saw the pics from that night taken by some pap photographer. Whitney's walking out of a night club with her older brother and Pat. Whitney's clearly inebriated, you can see her face and her eyes, she looks agitated and hostile. Ray J (younger brother of singer Moesha), is also pictured leaving the club behind Whitney. Whitney, her brother and Pat get into a car where Bobbi's waiting… I think their next stop was the hotel where Whitney died. I've little doubt Pat knows something or was somehow involved in Whitney's murder – something very untrustworthy about her. Why did it all start with "The Bodyguard"? I just read that her funeral is today on 01/08/2015. It was a blue moon last night. I know that might hold some significance to these freaks…..